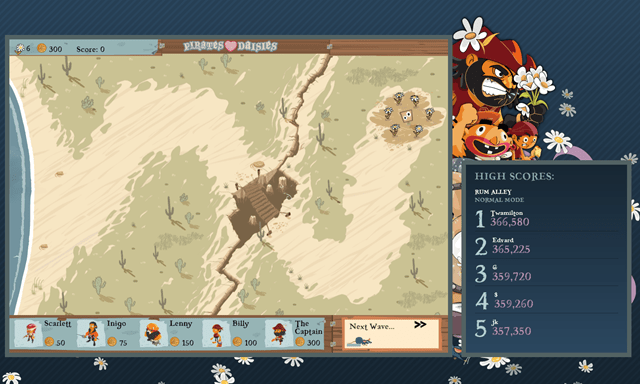 Pirates Love Daisies is a free Windows 8 Game app where you need to collect your precious minions. Now, to do so, you will require to hire a full-fledged crew and use the entire crew to thwart creeps. This Windows 8 game you will find quite interesting. Well, to be a winner, you need to make strategies for your each move while playing this game for Windows 8. In this Windows 8 game app, you got 6 little pirates with you and you have to place them according to the unit land you are provided with. 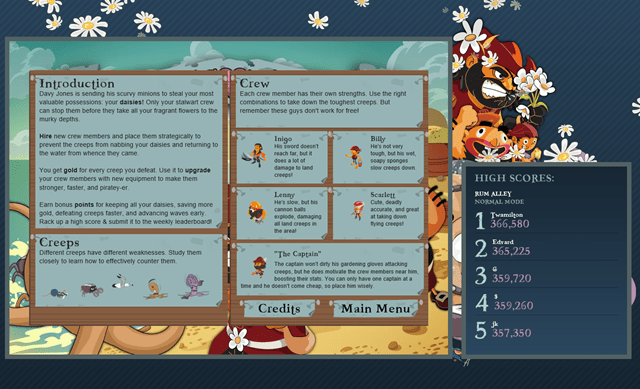 Just follow the game rules and help guide to step forward in Pirates Love Daisies. If you get into any problem, just check on the ‘Help’ menu and you are ready to go again. The task of the pirates is to guard the daisies from the creeps. That’s why the online game is called “Pirates Love Daisies”. Let me tell you how this Windows 8 game works. It’s quite simple. You just have to save the daisies form the herd of creeps who want to take the daisies from one part of the island to another. You need to install your little Davie Jones on a piece of land, so that he can kill the creeps. Select a new pirate with their special feature and install them on the small anchor like mark on the island. You can choose between different levels or say, maps. Each time you kill a creep, you can have gold coins. And, you can use those coins to upgrade your selected pirate. See the highlighted part, those are the creeps and you have to install your pirates on various part of the island. They will kill the creeps in their own style or you can say, with their weapons. Upgrade your pirates and they will crush those creepy creeps into chunks. You can also check the ‘Help’ guide if you have any problem and can also share your scores on the World Leader board. 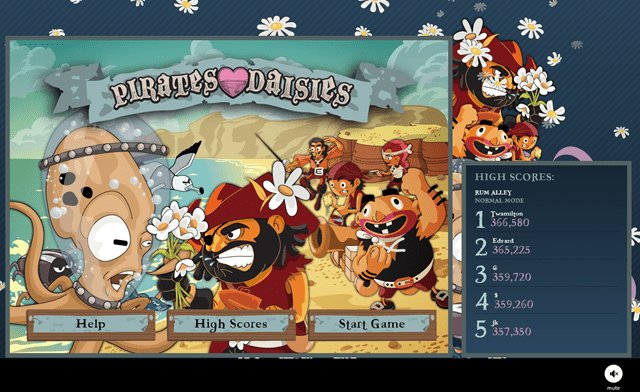 So install this cool Windows 8 game app Pirates Love daisies available under the “Game” category of Windows 8 store.